Introducing the Colorado Injury Treatment App! At Colorado Injury Treatment, we go beyond traditional physical therapy to redefine your expectations and be available every second of every day to ensure you’re achieving your results! We designed exclusive software that is customized to meet your specific needs in which you can access on your computer, tablet, and smartphone. We go where you go. Never forget a routine with push-notification reminders! Every exercise comes with a full video description, details for your reps/durations and an exercise-completion checkoff so your PT can see how committed you are to reaching your goals! Access notes directly from your PT with any personalized instructions or reminders! Unable to perform your “Home Exercise Program” at home? No worries! 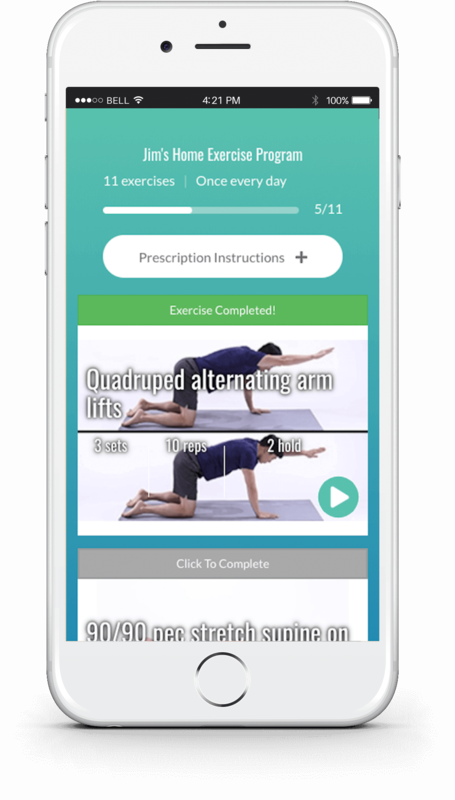 With this App, you can take your Colorado Injury Treatment to work, to the park, to the gym and more! We will help you stay focused when life gets in the way of your recovery goals. Earn medals and awards for getting your exercises done on time! How do l access my exercises? Once your physical therapist creates your account, you will receive an email from admin@ptwired.com with an activation link. Click on this link! You will be taken to a new screen where you can set a password. Make sure to pick something memorable (though you can always reset it if you forget)! Download the App by searching “Colorado Injury Treatment” on the iOS App Store or Google Play Store! If you would rather access on the web, simply go to citc.ptwired.com. Log in using your email address and the password, and you will be all set to begin completing your exercises! Let us know if you have any questions!